I know we've been through banana bread before on this blog. With one, I begged you to let your bananas really ripen, to turn black and gooey and I stand by that still. The other was a lower-fat version. The kind you perhaps make for yourself when you think you might not have the will power to resist eating the entire loaf. But this banana bread, this is for company. 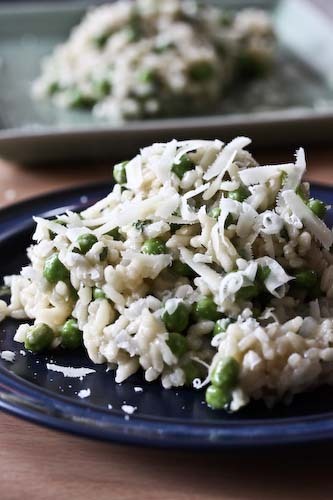 Mark Bittman calls it the ultimate. And after thirty years of making banana breads (his estimation, not mine), it would be hard to challenge him. Now, if you're not a coconut lover, I want to tell you that the coconut in this adds a certain something, but it's not an overpowering coconut flavor. Don't leave it out, but don't expect a tropical tasting bread, either. That's all to say that this bread is my new favorite, and I'm not just saying that because R made it tonight while I read, then let me photograph and share it. 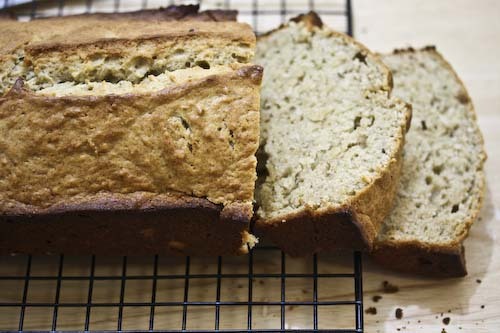 This banana bread really is the best. Oven preheated to 350 F, grease a 9x5" loaf pan. Mix together the dry ingredients and cream the butter. Beat the eggs and bananas into the butter, then stir this mixture into the dry ingredients. Finally, stir in the vanilla, the nuts if you're using them, and the coconut. Pour the batter into the prepared pan and bake for around 1 hour, but start checking earlier at about 45 minutes, until it passes the toothpick test. 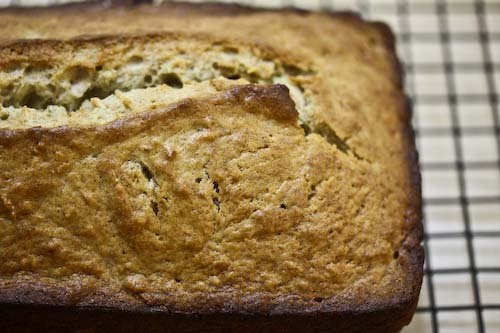 What a yummy looking banana bread, I love the addition of coconut. yuuummmm. I put coconut in my banana bread as well! How to Cook Everything is such a great book. I will have to try this at home since the book have been sitting on my shelf for years. This looks awesome. Banana bread is my go-to way of using up those bananas that sit in the bowl for a bit too long, before you realise that they're all going brown at the same time. Really, I should just buy fewer bananas more often, but that would be too sensible, wouldn't it? I found you through foodgawker, last night, and made this. We really liked it! The coconut is a nice touch. We had some extra bananas laying around on the counter begging to be used. I thought "banana bread!" and then I thought "Andrea surely has a recipe for me :)"
This one was divine. I subbed in chocolate chunks for the nuts. The recipe is saved now for future indulgences. Really a cake, not a bread...right?